Ever heard of Unit Studies? Charlotte Mason? Unschooling? These are homeschooling methods or philosophies. They describe how to homeschool and influence what you will use to teach your child. Before settling on a homeschool method, examine your child's learning style and your primary goals for your child. When you read about a philosophy and think, "That's a great way to learn!" - you have likely touched upon the method that is right for you. Just make sure it is also right for your child! Traditional textbook/Workbook programs are what most people envision when they think about homeschooling. While they provide the guidance and structure many parents desire, they may not suit all learning styles. Here is some information about the pros and cons of using a complete home school curriculum, and a brief explanation of the reasons we enjoy using homeschool textbooks in our home. Here's some information about whether or not you need an accredited home school curriculum. Unit studies use the study of a single topic to teach multiple subjects, and often include projects and hands-on activities. Here's some information about learning with homeschooling unit studies, along with some tips for designing your own homeschool unit study. Here's the transcript of my interview with Valerie Bendt, in which she discusses the benefits of teaching with unit studies and shares tips for using homeschool unit studies. Lapbooks are hands-on learning tools that can be used to teach or supplement instruction in a variety of subjects. Here are some instructions for using and creating lapbooks, along with links to lapbooking resources. Here's the transcript of my interview with Niki McNeil, co-owner of lapbook provider Hands of a Child, in which she discusses the advantages of homeschooling with lap books. Charlotte Mason homeschooling places a heavy focus on great literature, building good habits, and instilling a love of learning. Here's a summary of the basic principles of the Charlotte Mason method. Here are part 1 and part 2 of my interview with Catherine Levison, author of A Charlotte Mason Education. Here are some tips for finding a Charlotte Mason curriculum. Follow these links to read part 1 and part 2 of my interview with Sarita Holzmann, founder and president of Sonlight, one of the most popular literature-based homeschool programs. Classical homeschooling teaches children in three stages referred to as grammar, logic and rhetoric. This style of homeschooling often includes a heavy focus on memorization during the early years, and an emphasis on logic and eloquent expression as a child matures. Here's an explanation of the main principles of classical homeschooling. Here's a transcript of my interview with owner of Grace & Truth Books, Dennis Gunderson, in which he discusses the benefits of classical Christian homeschooling. Unschoolers and relaxed homeschoolers abandon traditional teaching techniques and focus on learning through every day experiences. Follow this link to read my interview with unschooler Sandra Dodd, in which she shares her expertise in the benefits and effectiveness of unschooling. Here's the transcript of my interview with Mary Hood, author of The Relaxed Homeschool, in which she shares tips and techniques for relaxed homeschooling. The Montessori homeschooling method focuses on preparing a stimulating environment for learning. Here's some information about the benefits of Montessori homeschooling. Here's a transcript of my interview with Larry Shiller, owner and creator of ShillerMath, in which he shares tips for choosing a Montessori homeschool curriculum. 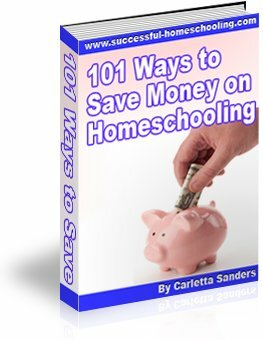 Computer-based homeschool methods are growing in popularity with parents who want their children to work independently through use of educational software or online home school programs. Here's some information about the pros and cons of computer-based homeschooling, along with links to reviews of popular programs. Here's a transcript of my interview with Jessica Parnell of Bridgeway Academy, in which she discusses options for families who want to homeschool online. Follow this link to read about the advantages of using virtual schools, publicly-funded, distance learning programs. Here's a look at the disadvantages of virtual homeschooling. Eclectic homeschooling is for parents who are like me - indecisive. It offers the best of all homeschooling methods. Here are some tips for eclectic homeschooling. Here is some information about University Model Schools, private programs that facilitate part-time homeschooling by permitting students to take courses away from home several days per week. Don't feel pressure to choose a specific homeschooling method. The philosophies described above are just guidelines that will point you toward resources and programs that might help your family. There is no right or wrong way to home school. Homeschoolers will often debate about which homeschool method is best without stopping to realize they are all correct. The style they chose is the one that's best for their family!